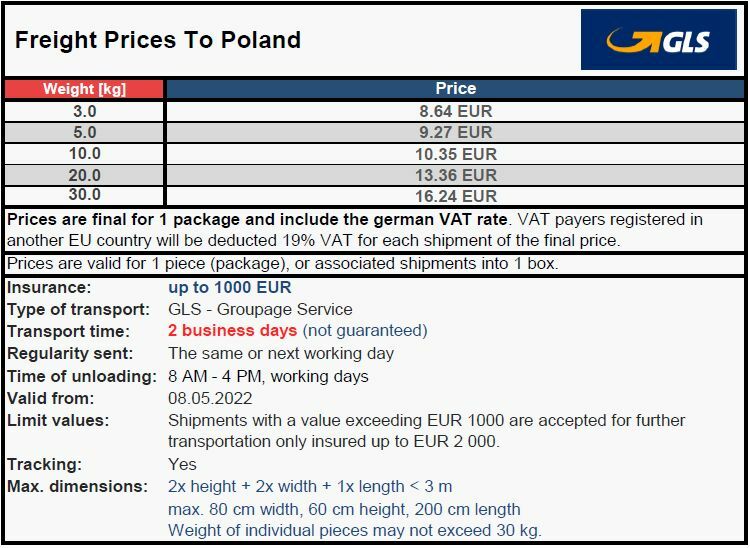 GLS (recommended for express shipments): for valuable items up to 1000 EUR with the requirement to send faster. Shipping time is complied in comparison with postal carriers in most cases. Shipments are transported through the Czech Republic. 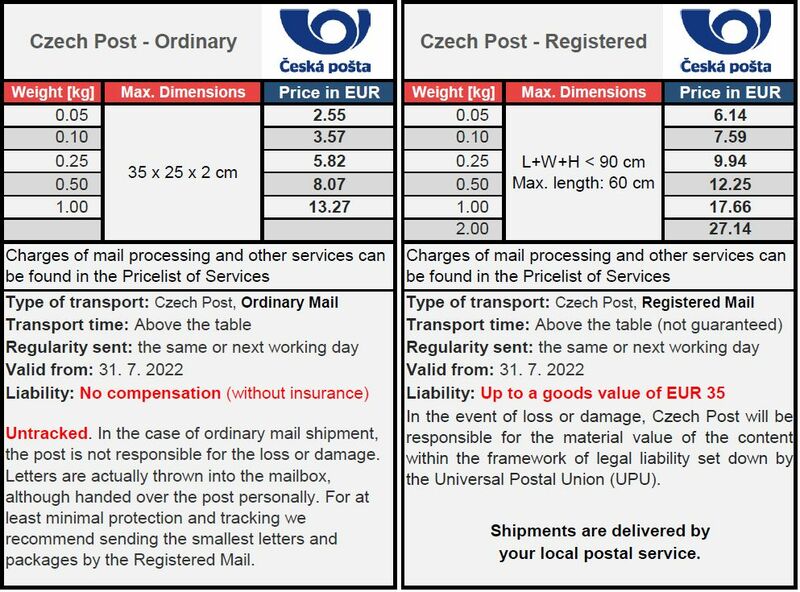 Czech Post & Polish Post - Ordinary & Registered Mail: for small and less valuable things up to 1 kg at very low postage from Germany to Poland. An ideal choice when speed needs to be balanced with economy. Convenient door-to-door service. Includes liability of up to EUR 1000 in the case of loss or damage and shipment tracking. 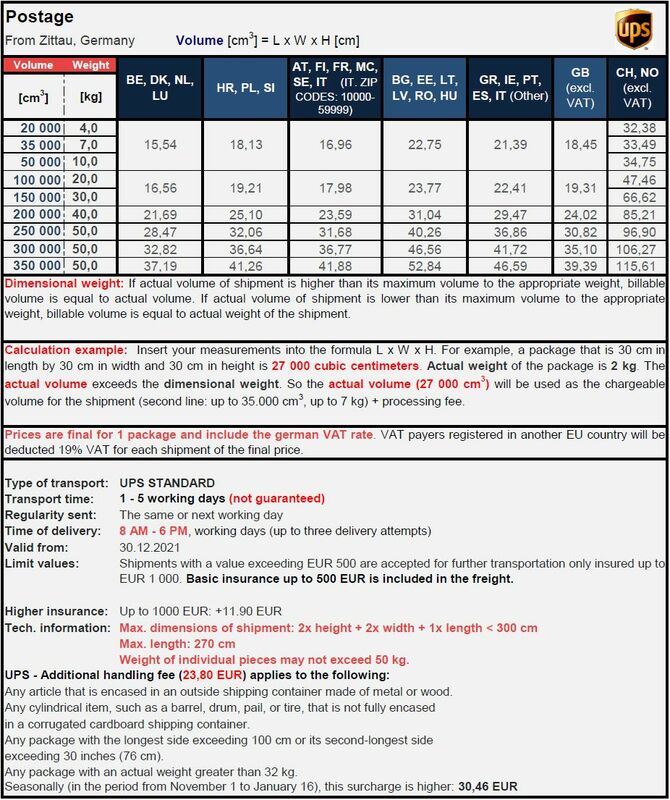 Maximal standard value of shipment: 1000 EUR. Usual transit time: 1 - 2 business days.